Stakes are high at the second Kim-Moon summit in Pyongyang begins, Korea Herald has live coverage. For live updates click here. 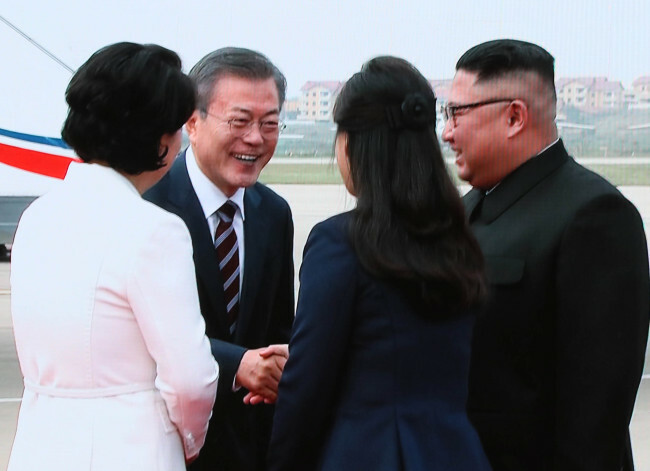 North Korean leader Kim Jong-un and his wife Ri Sol-ju, who arrived on the runway minutes before, greeted Moon and first lady Kim Jung-sook as they stepped off the plane. 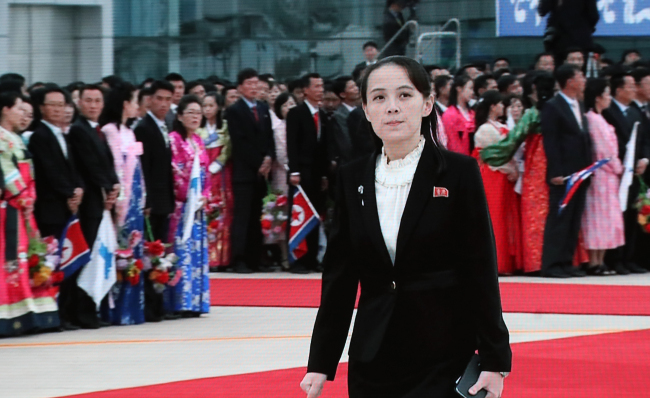 They talked briefly for about a minute before the South Korean first couple were greeted by the North Korean leader’s younger sister Kim Yo-jong. 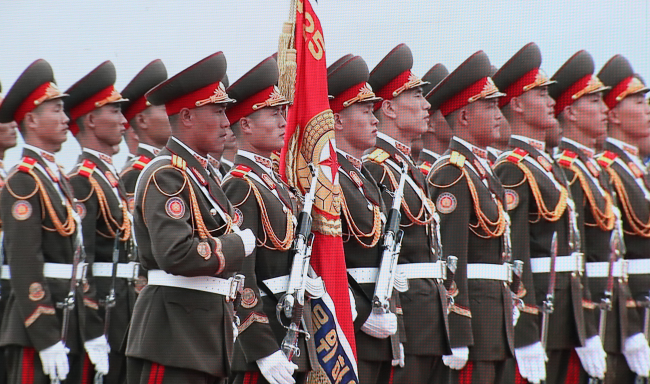 It was the first time a South Korean president’s arrival in North Korea was televised live. High-ranking North Korean officials — including Ri Son-gwon, chairman of North Korea’s Committee for the Peaceful Reunification of the Country Kim Yong-nam, North Korea‘s nominal head of state, and Choe Ryong-hae, vice chairman of North Korea’s Workers Party and North Korea’s Foreign Minister Ri Yong-ho — shook hands with Moon, after which he introduced Kim to South Korean officials including National Security Office chief Chung Eui-yong, presidential economic adviser Kim Hyun-chul, Foreign Minister Kang Kyung-wha, Defense Minister Song Young-moo and Culture Minister Do Jong-whan and National Intelligence Service chief Suh Hoon. 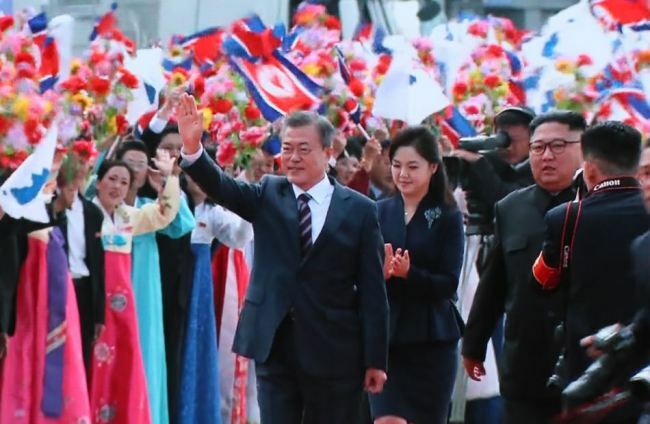 Thousands of North Koreans waving North Korean flags, the Korean Unification Flag, and flowers were also at the airport to greet the South Korean president. Mishana Hosseinioun, president of US-based MH Group, told The Korea Herald that the UN Working Group on Arbitrary Detention is currently looking into South Korea’s treatment of Park in jail, following allegations she is being unlawfully detained and her basic rights have been violated. “As of just a few days ago, the UN working group has officially accepted our case, which means they have formally communicated this to the authorities and are expecting a response from them within the next month,” Hosseinioun said in an exclusive interview in Seoul. She is in town from Sunday to Wednesday. “So by mid-January, the Republic of Korea has to officially respond to the working group, and the fact that they took this on is that they also believe there is sufficient reason to look into this seriously,” she added.